Thomas Hylland Eriksen is Professor of Social Anthropology at the University of Oslo. His research in complex societies ranges from identity politics to the cultural implications of new information technology, and he now studies local responses to global crises. His books include Ethnicity and Nationalism (1993/2010), Engaging Anthropology (2006) and Globalization: The Key Concepts (2007/2014). Christina Garsten is Professor of Social Anthropology at Stockholm University and Professor of Globalization and Organization at Copenhagen Business School. She is also Chair of Stockholm Centre for Organizational Research. Her recent books include Transparency in a New Global Order (2008, co-edited with Monica Lindh de Montoya), and Organisational Anthropology (2013, co-edited with Anette Nyqvist). Shalini Randeria is Professor of Anthropology and Sociology at the Graduate Institute for International and Development Studies. Her research addresses issues of changing contours of law, policy and governance; the interplay between international organizations; and the state and social movements in India. 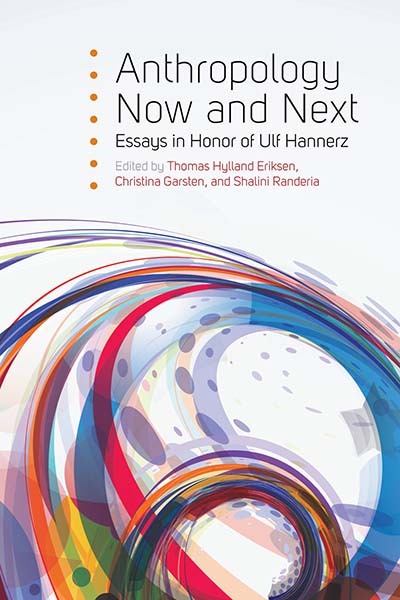 Her recent co-edited volumes include Border Crossings: Grenz- verschiebungen und Grenzüberschreitungen in einer globalisierten Welt, (2014) and Jenseits des Eurozentrisumus (2002/2013).